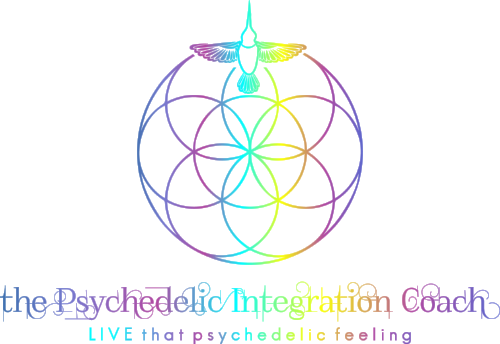 Psychedelic Integration is a relatively new stream in psychedelic education. The idea that profound mystical experiences need to be processed in order to enhance and prolong their benefits has been acknowledged and practiced in ancient medicine cultures. In Western culture - a newbie to entheogens, consciousness and spiritual studies - integration is only recently recognized to be a crucial part of the psychedelic experience. Resources about integration are relatively limited as we are plowing our way through a new age of psychedelic exploration through a lens of psychological, spiritual & physical healing and transformation alongside the fundamentals of harm reduction and safety. The practice of integration aims to amplify and satisfy these paradigms, as are the information and tools provided here. My integration philosophy is drawn from scientific research and publications, my academic studies, professional training, work with clients and personal experience. Please use this information with discretion and utilize the knowledge that feels right for you and your journey. In the depth of 5 grams there I found my 5 year old inner child, trapped beneath the overwhelmed, overworked and tired moma, wife, daughter, friend and professional facades. A misunderstood face of rejection and loneliness, she was ugly but cute, obnoxious and endearing. Sweeping her into my arms I made a choice to forgo the familiar sensation of victimhood and claim ownership of this neglected piece of myself.